Batman V Superman: Which Team Are You On? Lex Luthor said it best. 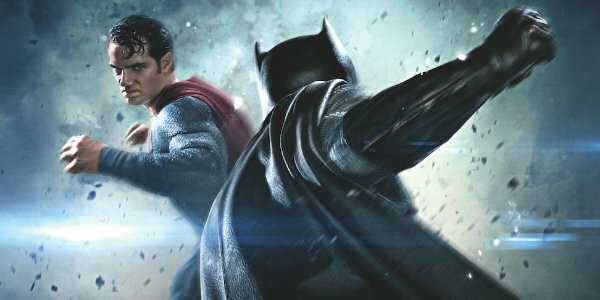 With Zack Snyder’s Batman v Superman: Dawn of Justice, audiences are preparing for fight night! The greatest gladiator match in the history of the world. God versus man. Day versus night! Son of Krypton versus Bat of Gotham! But what side will you fall on? My money is on Superman because he has both the physical and ideological advantage. His powers make him almost like a god to humans, and even with the fancy armor and spear, Bruce is still going to have a tough time dealing with all of the Man of Steel’s abilities. Add that to the Kryptonian having better reasons to be irritated with Gotham’s protector, and it makes more sense to side with him, even though both superheroes rank among pop culture’s best. The reason I'm siding with Batman in Batman V Superman: Dawn of Justice is because – whether he wins or loses – The Dark Knight fundamentally represents the ideas of human perseverance, resourcefulness, and courage against impossible odds. He’s not a walking ideal; he’s a man trying his best to show humanity what it's capable of. And get ready for Batman v Superman: Dawn of Justice when it lands on March 25.
Who Are You Rooting For In Batman V Superman: Dawn Of Justice? Can Lex and Doomsday prevail?